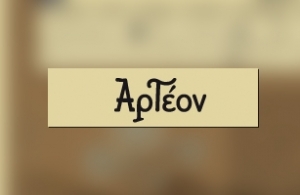 We proudly present the e-shop of publishing house "Αρτέον", based in Athens. This project was developed with the Joomla! CMS and VirtueMart component. The user is able to see the products of Αρτέον and purchase his/her favorite. Each user has his/her own account, making orders easy and fast. There is a secure browsing and communication with e-banking processes. In intros.gr, we believe that a well designed and developed website is a powerful tool, which guaranties the growth of the company using the power of Internet. Check the numerous projects that we have carried out or check testimonials of our customers. Do not hesitate to contact us or to request a quote for your own idea.